Life in the Manchester United hotseat doesn&apos;t get any easier for Louis Van Gaal. 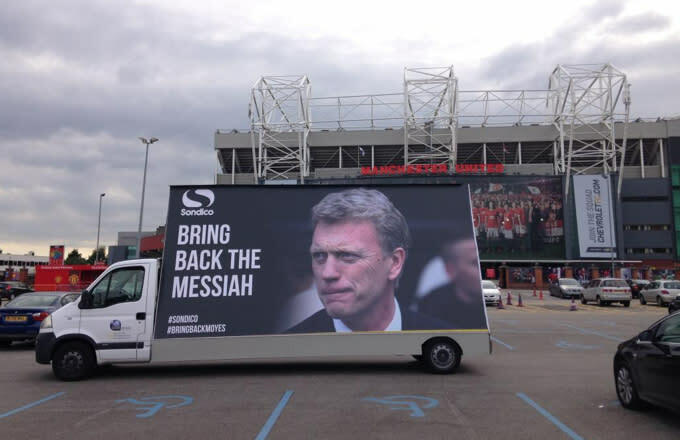 Fresh from being dumped out of the Capital One Cup this week by League One side MK Dons, a van – looking like it&apos;s sponsored by Sondico, the Dons&apos; kit manufacturer – has appeared outside Old Trafford telling Man United chiefs to #BringBackMoyes. "We’re really proud of the MK Dons lads. It was an unbelievable result so we thought we’d help the players and fans extend the celebrations to Old Trafford. 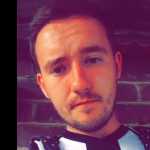 Man Utd are a great club and they’ll no doubt bounce back but MK Dons have pulled off a giant killing so I’m sure they won’t begrudge us a bit of fun at their expense. We wish MK Dons the best of luck in the third round." It&apos;s a lot cheaper than flying a plane over Old Trafford.